Narrative: While rocking chairs can easily be traced back to the early 1700s, it was not until the 1820s that the Shakers, a religious group in the U.S.A. began weaving the seats out of leather or cane, replacing the former solid wood seats. 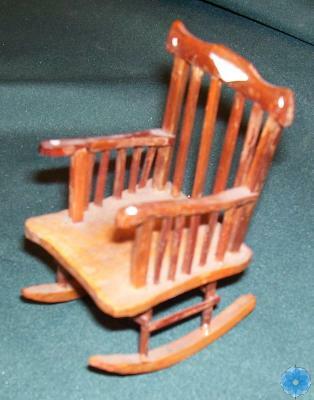 This doll's rocking chair is from a set of wooden doll miniatures made by the artist in Mt. Hanley, Annapolis Co., N.S., at a 1:6 scale. 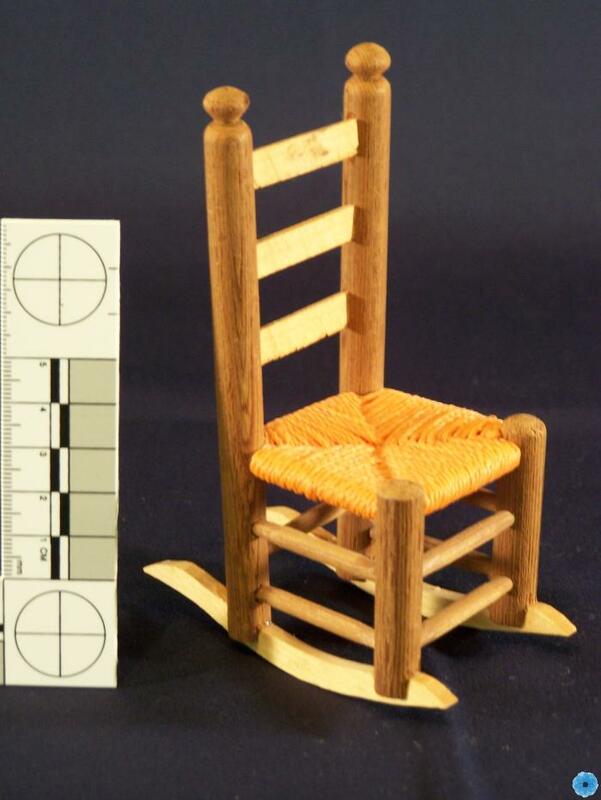 Description: A small wooden rocking chair made for a doll. Rockers and back are a light coloured wood, while rest is darker. Orange plastic cord used to weave seat.